The Lehigh Valley IronPigs (7-2) continued their winning ways against the Rochester Red Wings (2-7) on Friday night at Frontier Field. 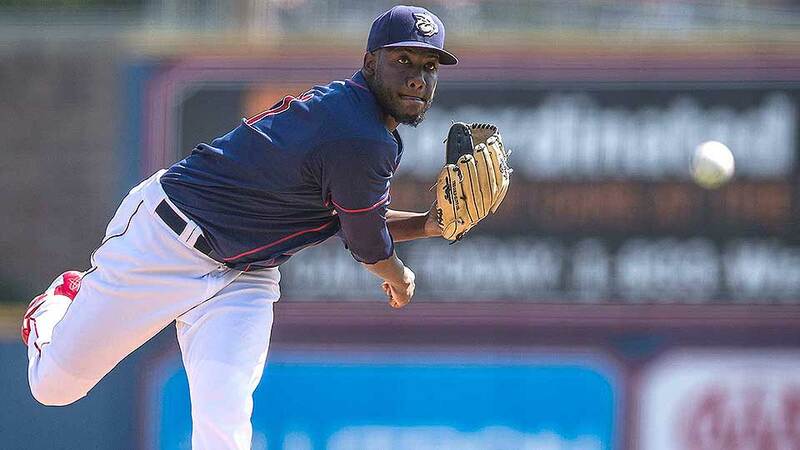 Enyel De Los Santos (2-0) shut out the Red Wings through seven innings as the Pigs won 3-0. After a career-best 10 strikeouts against the Red Wings on Saturday, De Los Santos continued his dominant ways by only giving up two hits and two walks through seven innings while striking out nine. Dylan Cozens and Mitch Walding both homered while Sean Rodriguez hit an RBI triple off Zack Littell (0-2). Littell entered the game in the bottom of the second inning after Mike Morin started the game for the Red Wings. James Pazos earned his second save by recording one strikeout and issuing one walk through two innings in relief of De Los Santos. The IronPigs play for a series win on Saturday afternoon at Frontier Field. First pitch is scheduled for 1:05 p.m.